Mythmaking is the first art. Written with a unity of vision largely forgotten by contemporary poetry, G.M. 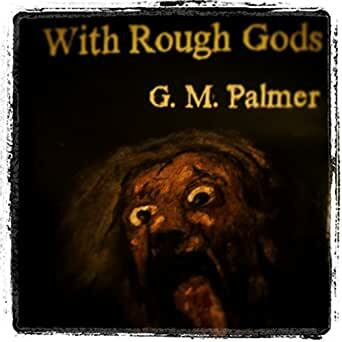 Palmer’s With Rough Gods grazes the foundations of Greek mythology, endowing gods and legends with a numinous humanity often unseen in traditional compilations of lore. Complete with a glossary of its characters, With Rough Gods embodies our human experience as only mythology can. 5.0 out of 5 starsBrilliant mind, Rough Gods. G.M. Palmer deftly and thoughtfully captures this worlds' Rough Gods. GM Palmer has revisited and invigorated the Greek myths through poetry that is both earthy and engaging. His gods are passionate, sensual, brutal, and unapologetically driven to realize themselves . Every other depiction of these myths is milquetoast by comparison. Set within the realm of Greek mythology, With Rough Gods allows the reader to relate to Gods as mere mortals. His language never gets in the way of his message; allowing the reader to examine conversations between two Olympians discussing common topics of our time. This book is excellent beginning for those intimidated by rhyme and verse. After reading With Rough Gods, I feel more attuned to modern poetry and reading collections of Roethke, Eliot, and Plath. I enjoyed this book thoroughly and would recommend the book to anyone interested in poetry, mythology, or literature as a whole. I am captivated by re-tellings of myths--Gluck being a favorite. I was excited to read this collection and was sorely disapointed. At first, the ABAB rhyming intriguied me, but I quickly found it boring. The poems tend to dull as the collection progresses. At one point the author even uses the rhyme "love/dove." Also, the collection doesn't really speak to myth or myth making; rather, it's a generic poem slapped with a title referring to two ancient gods.